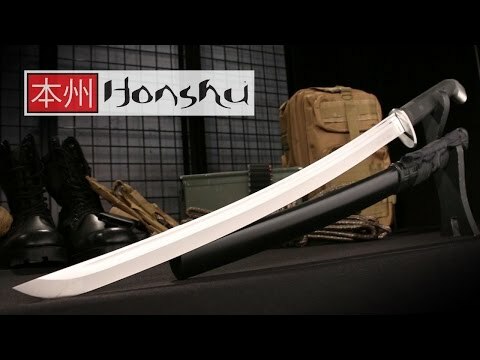 United's new Honshu Boshin Wakizashi has a sleek, modern elegance to it. The incredibly sharp 22 1/2" 1060 high carbon steel blade has a satin finish to complement the satin finished guard and pommel. 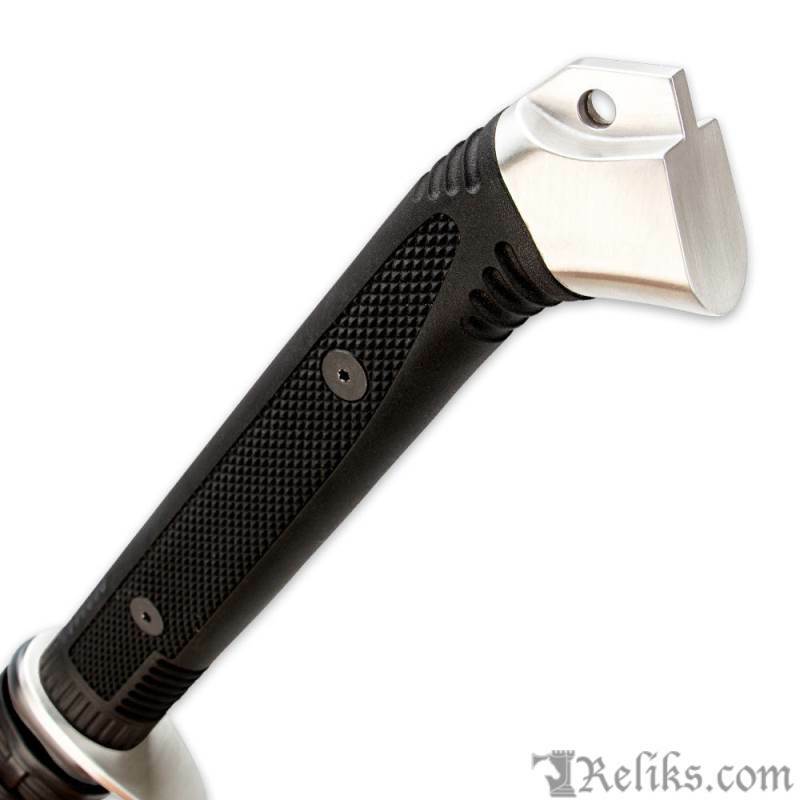 The grip is of slip-free TPR to let you wield this sword with ease. 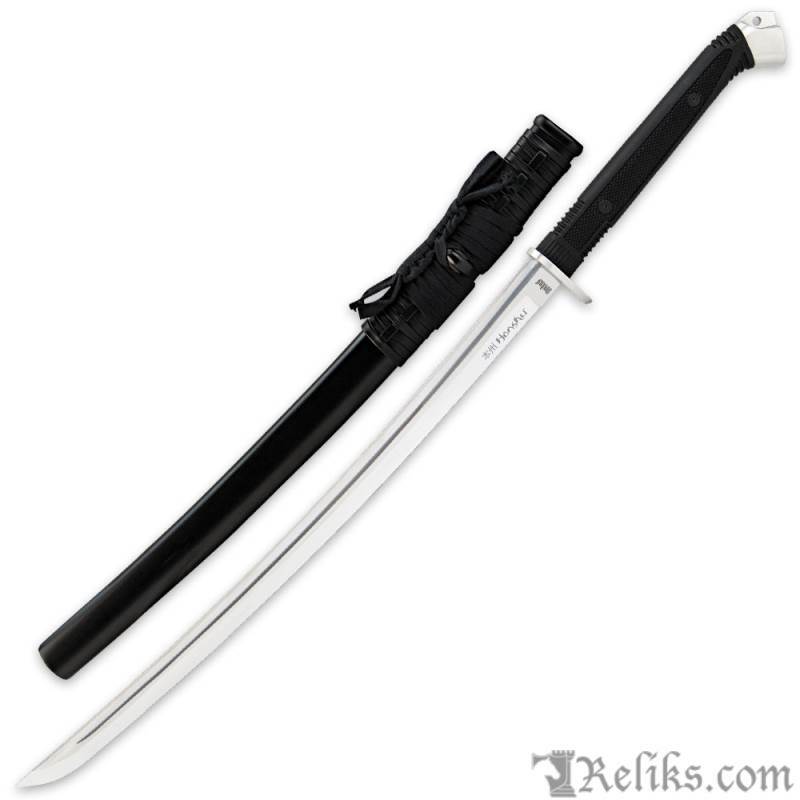 A wooden scabbard with leather wrapping completes the package. 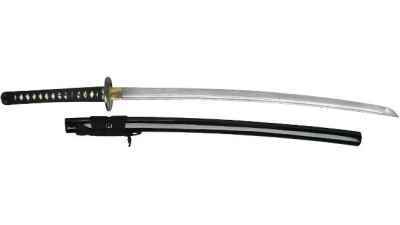 Uc3125 - The Honshu Boshin Wakizashi grip is of slip-free TPR. 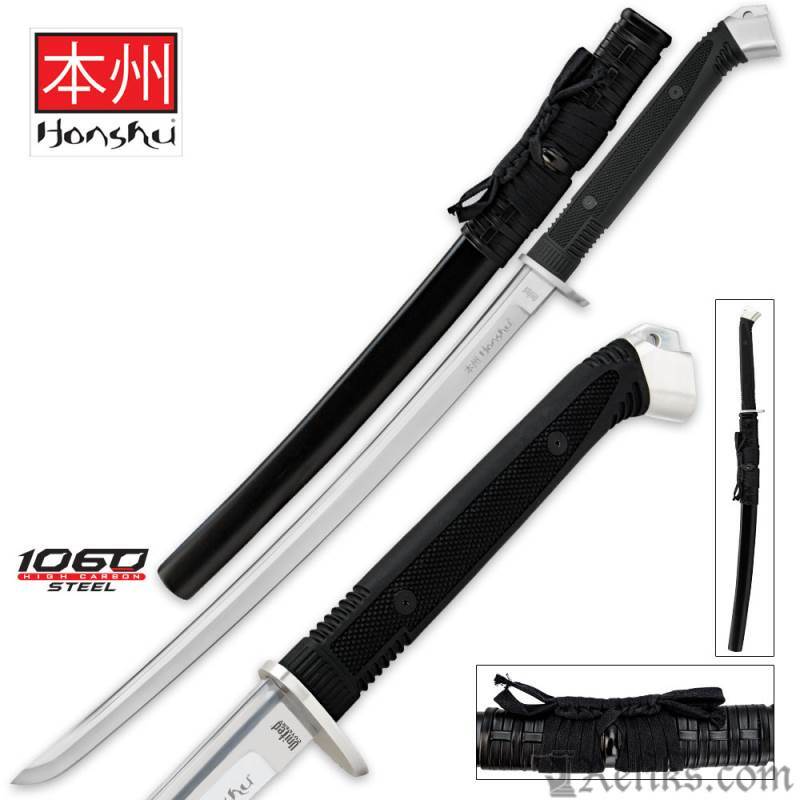 Honshu Boshin Scabbard - Wooden scabbard with leather wrapping. 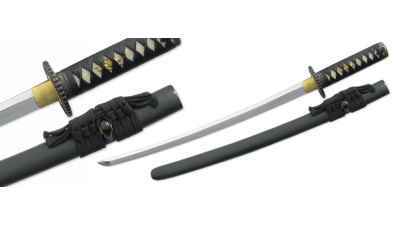 Honshu Wakizashi - The Honshu Boshin features satin finished pommel and guard. 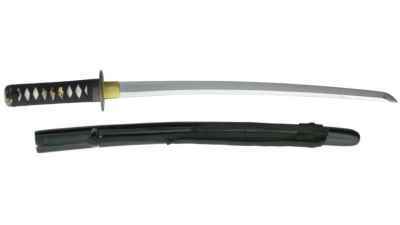 Honshu Boshin Wakizashi - The Honshu Wakizashi has a modern sleek design.